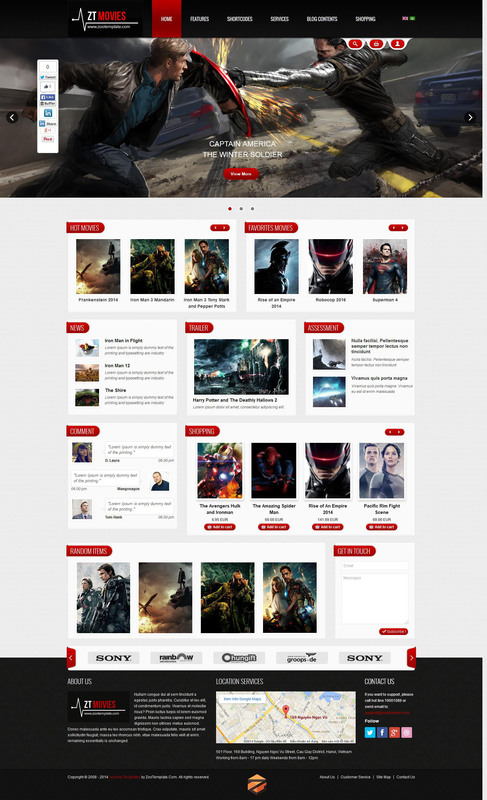 ZT Movie - gorgeous pattern Gantry for Joomla 2.5 from the professional team of developers ZooTemplate. Stylish design template includes three predefined color schemes (red, green, orange), which allow you to create your own style of design for the site. Through the use of the platform ZO2 Framework, the template has a responsive design that ensures the correct display of the site on any screens and mobile devices. Functional control panel allows you to set the template parameters own background site, select the type of font and color, style menus and more. Built-in support for popular components K2 and VirtueMart, perfectly useful in the development of the news portal or the Internet - shop.